Rare & unique offering w/ tremendous opportunity of almost 2500 sq. ft. of single level living in this large, oversized fixer positioned privately & quietly in the rear 2nd floor NE corner all centered amongst West Hollywood's best offerings. 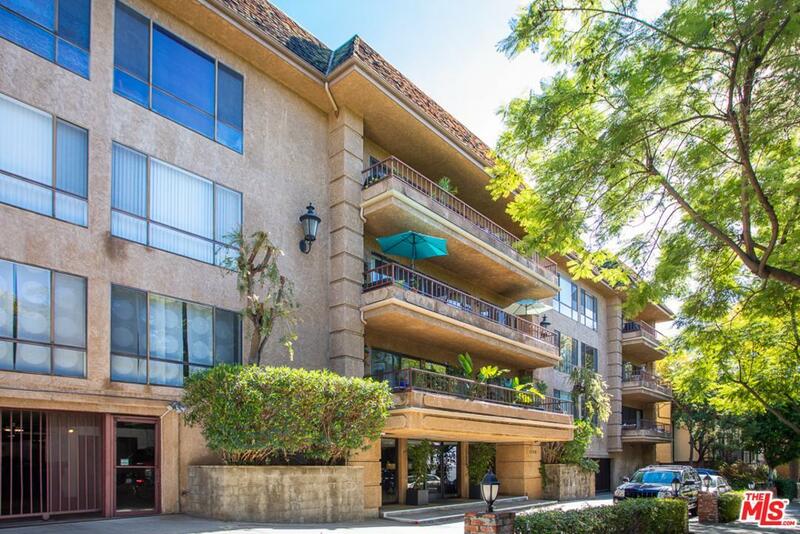 Built as condos w/ spacious rooms throughout & walls of windows/sliding glass doors opening to relaxing balcony w/ views of lush hedged greenery overlooking yard & pool area. Double door formal walk-in entry w/ hardwood flooring, powder room & beverage bar lead into expansive living room & dining area w/ gas fireplace. Large Eat-in kitchen, ample cabinet space, including separate stackable washer/dryer closet. Vast master suite features 2 huge walk-in closets, shoe closet, multiple seating areas & en-suite bathroom with separate shower/tub. Building amenities: Updated furnished lobby, wide air conditioned hallways, Pool, spa, dry sauna, extra storage closet, side-by-side parking, guest parking and close proximity to grocery, cafes & shopping.